An Evening Performance by Harvard University's entertaining Din & Tonics! The Harvard Club of Naples cordially invites you to join us for an evening of world-class musical entertainment with Harvard's very own Din & Tonics, featuring Naples' Patrick Moran. 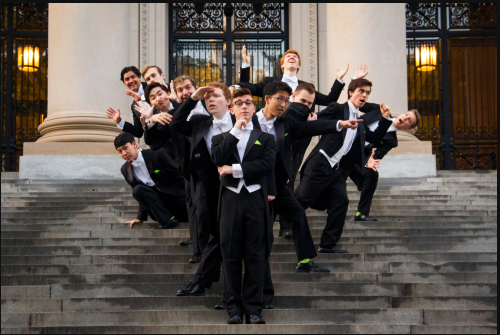 Please join us for an unforgettable evening with the Din & Tonics, Harvard University's signature all-male a cappella singing group. Since 1979, its twelve undergraduate members have entertained audiences across the world with their impeccable musicality, snappy choreography, and hilarious antics. Proceeds from this event will benefit the Club's Schools and Education Fund. Don't miss out on this rare opportunity for world-class Harvardian entertainment with a philanthropic twist!